It's the time of the year again again that we celebrate Christmas. 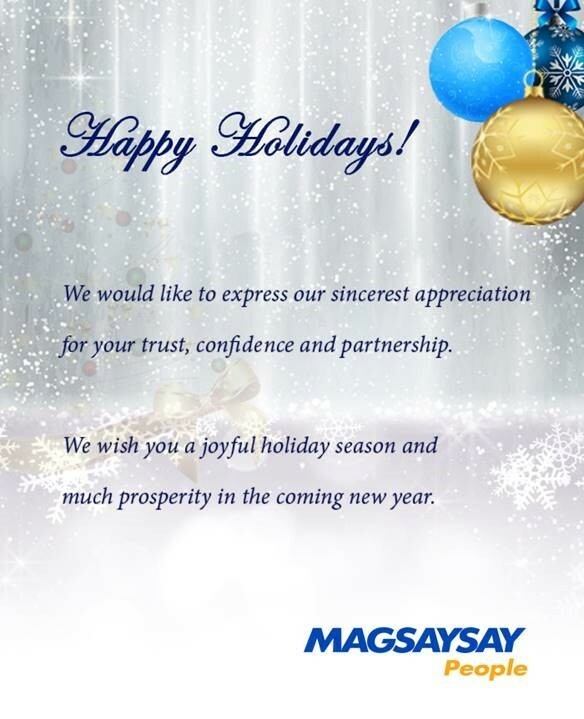 Magsaysay greets everyone a merry Christmas and a happy new year. Thank you for the trust, confidence, and partnership with us this 2015. We wish you a joyful holiday season and much prosperity in the coming new year.